After nearly 20 years as a missionary and church planter in Uruguay, Toni M. Daniels is now the director of the Geronimo Center for Innovation and Leadership and the recent author of Back to Joy: An Intimate Journey with Jesus Into Emotional Health and Maturity. 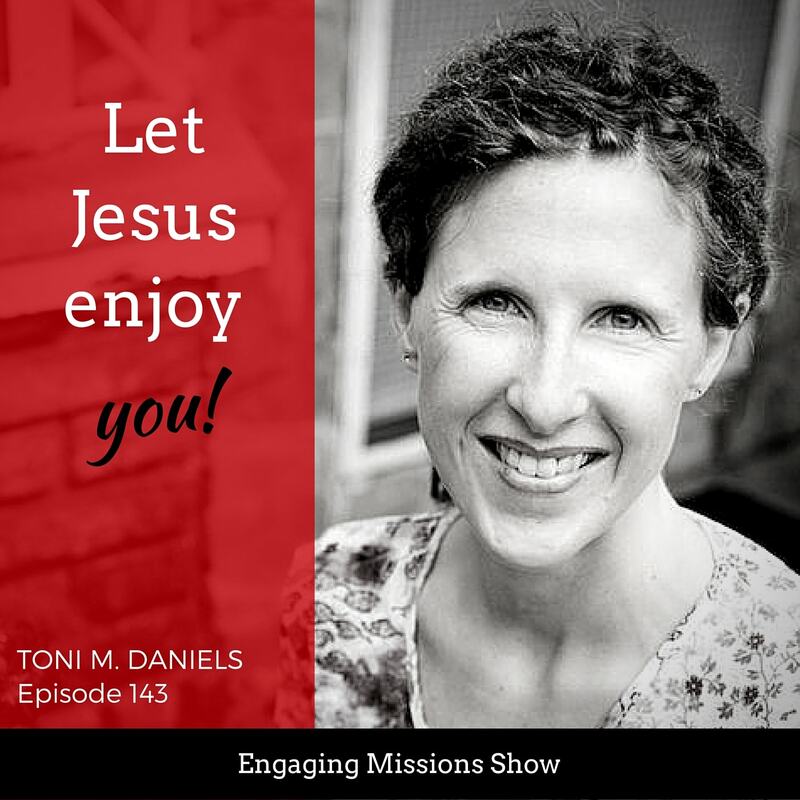 In our time together, we talked about how God taught Toni how much He wants to just enjoy her and has used her time with Him to form her life in powerful ways. Now back in the United States, she's been able to pour into leadership development in Uruguay as the long distance director of the Geronimo Center. God has done some amazing things and I think you'll be encouraged and challenged by her story as well as her book. [06:04] – What would you share with someone who is starting to get discouraged? [08:19] – The time God gave Toni an image that helped her through a dark season. [14:07] – How did God get you through that challenge? [16:10] – Overcoming shame, being judged, and disappointment when life seems difficult. [17:16] – Are there any meaningful or key Scriptures in your life? [18:01] – Doesn't “rest” sometimes seem like a dirty word? [23:36] – Who is Back to Joy written for? [26:20] – Find a way to keep track of the great things that God's done. [26:54] – What to do when you' know God's doing great things but you're just not seeing them. [27:46] – What led you to structure the book the way you did? [30:42] – What is the value of being quiet and letting God guide the conversation? [32:37] – The single most important thing to learn for mental health. [34:49] – The amazing life pattern Toni found in the Psalms. [40:00] – What is one transformation you'd like to see in the lives of our listeners and the people who read your book? Don't ever underestimate the power of enjoying someone. [42:02] – What would you share with someone who cares about missions but is called into the marketplace and is beginning to wonder if what they're doing really matters in the Kingdom? [45:07] – What would you share with someone who is realizing that their neighbors and co-workers are from other places in the world? [45:57] – Some internet resources that Toni recommends. [47:10] – Several books that Toni recommends. [49:14] – One last piece of advice and contact info. God's at work when we aren't doing anything. We're just there and he's working all around us. Joy increases our capacity to suffer anything. When we relive our appreciation moments, we're more able to sense God's presence. Jesus is on mission, seeking and saving ALL that was lost. What an encouraging podcast as a Christian and a mom! I can’t wait to read this book. Thanks TC. It’s a very worthwhile read.